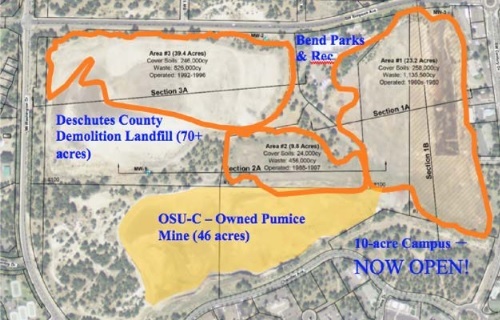 BEND, OR -- OSU-Cascades is seeking federal funds to help clean up a 72-acre former landfill, to allow for construction of more academic buildings at the Bend campus. Blair Garland, with OSU-Cascades, tells KBND News the university has received $9.5 million in state money, and they're now hoping to get a grant from the Environmental Protection Agency. "The EPA is going to award around 40 of them around the country, and we'd certainly like some of these federal funds to come here and be applied here in Central Oregon. That'll help us make best use of state funds. And, if we receive the grant, it's going to expand the size of the first phase of remediation, and possible do it faster." 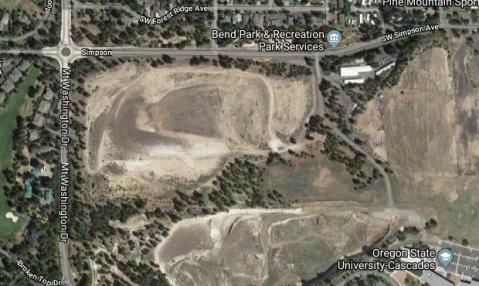 Garland believes the school's proposal is a good fit for the EPA grant committee, "Combining this former landfill and the former pumice mine, which were two sites that were formerly unusable, and bringing those together in order to build a university, which is a benefit to the community. And, it's a way to serve an underserved region with higher education. We think that's going to be one of the most innovative land reclamation stories in the country, so we think we have a good shot." A public meeting will be held Wednesday evening at Tykeson Hall to discuss the EPA application process and get community feedback. That meeting begins at 5:30 p.m. Even before securing the additional money, Garland says work is already underway at the former demolition landfill, "Right now, we're mostly doing the preparation work, like finalizing testing and planning with contractors. And, we're going to start moving dirt around on the site beginning in the spring, or possibly the summer."